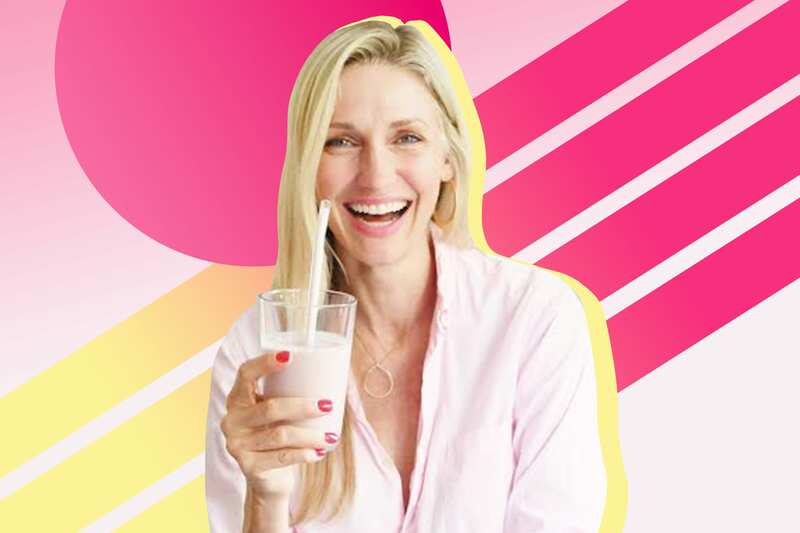 If you think that Catherine McCord, the blogger behind Weelicious, looks like she has it all together on Instagram, guess what? She has it all together in real life too. When she鈥檚 not feeding her family (kids Kenya, 11; Chloe, 9; and Gemma, 3) inventive smoothies and nutritious meals made with whole foods, she鈥檚 running her meal kit company, One Potato, which aims to make organic, family-friendly meals accessible for families across the country. Whether you believe her or not, McCord swears that mealtimes can be easy 鈥� and after just a few minutes of talking to her, we got on board too. How do you typically approach mealtimes? It鈥檚 all about keeping things as easy as possible. That鈥檚 really important to me. Whether it鈥檚 meal planning or grocery shopping, just keeping lists and knowing exactly what you want to be feeding your family is the starting point. I also have an organic family-friendly meal delivery company called One Potato. I wouldn鈥檛 be able to survive without it. Can you tell us a little bit more about One Potato? Yes! We鈥檙e currently in eight states 鈥� California, Arizona, Nevada, Washington, Oregon, Idaho, Utah, and Colorado 鈥� and we鈥檙e looking to move to the East Coast soon because we have a big waiting list there! The concept is similar to other meal kits. You get two to three meals per week and they take 15 to 30 minutes to prepare start to finish. They鈥檙e super healthy, easy, and appealing to kids and adults. One of the big benefits is that we have add-on pricing for each additional child to try to keep the costs as low as possible. This way, families can afford to eat organic food that鈥檚 quick to make. What are some go-to meals that you swear by that everyone will eat? We love roast chicken with lemons, cherry tomatoes, and olives; chicken fajitas; and salmon sheet pan dinners. We basically make something different every night. How do you avoid getting into dinnertime ruts? I go to the farmers market every Sunday and get really inspired there. And also, my kids tell me the kinds of foods that they want to eat and that鈥檚 a really big help. What types of foods do they request? My son, Kenya, is a vegetarian and he became one when he was 6 years old. He was always a great eater but even when he was a baby he didn鈥檛 love animal protein. It鈥檚 kind of funny, but it鈥檚 his decision and he really stands by it. So we eat a ton of vegetables prepared different ways. All three of my kids have smoothies for breakfast every morning. What we eat really varies and it鈥檚 all about keeping everyone nice and happy. What are your thoughts on meal prepping? I try to meal prep a lot on Sundays. I start by making a huge chicken or roasted salmon, roasted veggies, and brown rice or pasta. That way we can mix and match throughout the week. Any appliances you rely on for easy meals? I鈥檓 obsessed with both my blender and my air fryer. Those are my two babies, if you will. I have a Philips Airfryer XXL and a KitchenAid Pro Line Series Blender. The air fryer is seriously the easiest thing in the world to use 鈥� no joke. I don鈥檛 think I鈥檝e ever made a chicken as good as the whole roasted one in the air fryer. Is there a snack your family couldn鈥檛 live without? I swear by whole foods, so I always carry bananas and dry oats with me so that I can quickly make some oatmeal. I love making my own snacks like homemade granola, granola bars, dehydrated fruit leather, and roasted (or air-fried) chickpeas. Do your kids eat vegetables willingly? Do they have any funny habits when it comes to food? Both my daughters love olives. They also dip popcorn in cream cheese, which I think is kind of different. They鈥檙e always coming up with these things and I鈥檓 like, really? but I just roll with it. Can we talk smoothies? Your Instagram is flooded with fun recipes. My kids have something different every day. They love this one called the cotton candy smoothie, mango spiced smoothies, blueberry chia smoothies. They鈥檙e so easy to make, in general!